Todd Creek Falls is tucked away near the small town of Six Mile. 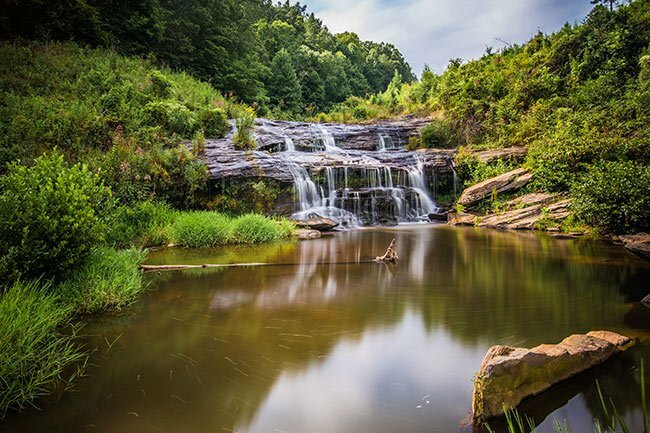 Even though it isn’t a well-known South Carolina waterfall, these falls offer a popular picnic spot for Pickens County residents. They drop 15 to 20 feet and splash into a refreshing plunge pool. 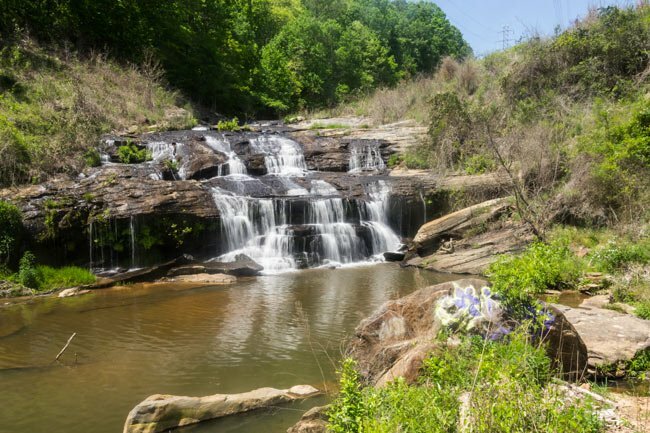 An easy, half-mile hike along Todd Creek will get you to the waterfall. 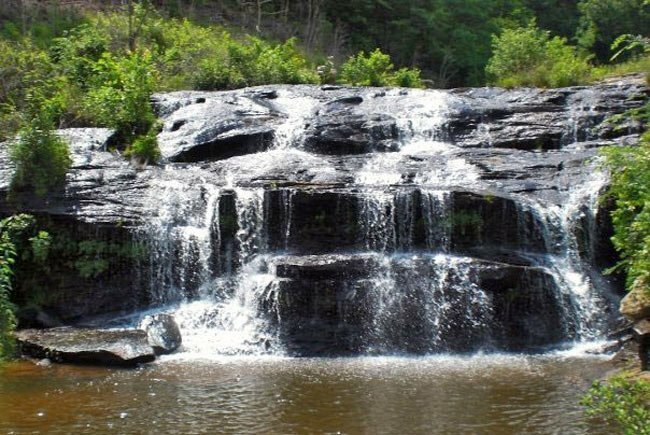 Todd Creek Falls are located in the Clemson Experimental Forest; they are jointly owned by Clemson University and Duke Energy. The rapids along Todd Creek between Brookbend Road and Lake Hartwell are classified as Class IV+ on the International Scale of River Difficulty created by the American Whitewater Association. Class IV is defined as “intense, powerful but predictable rapids requiring precise boat handling in turbulent water.” The best time to paddle the creek is during March when the rainfall is the highest.